I t has been an interesting couple of weeks for the tech giant yahoo. First Jackie Reses, the head of HR, wrote a memo forbidding telework for the employees. Shortly after the memo appeared, the internet began to associate it with Marissa Mayer, the CEO of Yahoo and former Vice President at Google. Last time I checked, Google didn’t have a telework policy — instead, they strived to make the atmosphere at work so wonderful, with free food, massages, a gym, showers, lectures, and on-site medical, that the employees only go home to their empty bachelor-pad like apartments to sleep for a few hours. 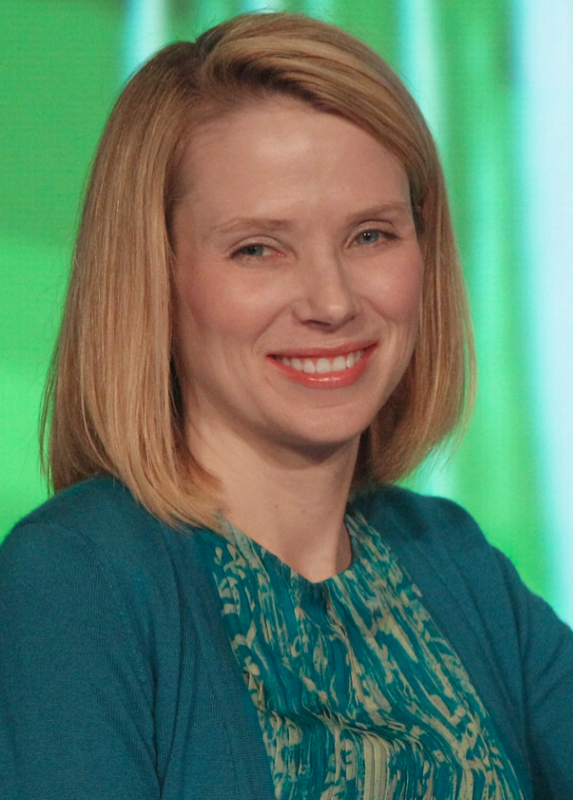 Combine Mayer’s background at Google, her reputation for data, and one comment that Mayer found report employees were not “checking in on the VPN” often enough, and suddenly you have a media firestorm about how the CEO of Yahoo eliminated telework at Yahoo because the VPN logs showed people weren’t working. This leaves me wondering: What did Mayer actually say about those VPN Logs, and how did it get reported? The work-from-home debate has certainly exploded across the landscape this week, after an edict to eliminate the long-time employee policy at Yahoo, especially since most other Internet companies tout flexible work arrangements. But, apparently, Mayer thinks Yahoos have abused the privilege — she noted at an employee meeting last week that VPN logs showed work-at-home staff did not sign on enough — and a Yahoo internal memo said that working “physically together” was the way to reenergize the lagging fortunes at the company. That is all we know, folks: People working from home did not sign on enough. We don’t know what “enough” is, or what the numbers showed, or how Mayer came to those conclusions. We don’t know the context of the company meeting or why she said it. While we might imply the comment was to explain the new “no remote work” policy, we don’t really know. If you think more information is out there, you can always try to find it. You might, for example, google the topic, find a respectable media outlet like CIO, then follow the links backwards. I suspect you will probably end up where I did, at that same post by Kara Swisher with two sentences of actual background. Not every media piece is short-slighted, reactionary, and assumption laden – Cameron Laird, over at Correlsense, has a thoughtful article doing some real spade-work on what we know and what that might mean. And that’s the good news; real journalism and thoughtful analysis isn’t dead. You just might have to dig a bit to find it. Speaking of which, one thing we haven’t seen yet, is any journalist going back to Yahoo, asking the company to explain what Mayer meant (or appealing to her directly). I have tried, but as I hit submit, have not heard back from anyone at Yahoo. Who knows? There may be more to come. When working from home, VPN can be painful! I often work off line on my own computer and then email material to my work account to be downloaded later. I'll also attend on-line meetings using my home computer, and spend time on conference calls. Consequently, my VPN logs might not look stellar... even though I am more likely to work a longer day from home than when I'm at work. Frankly, without the commute, and being able to use my lunch hour to do tasks around the house, I find I start earlier and end later.... and even come back in the evening to do just one more thing that adds another couple of hours to my day. If the decision is being made based on VPN logs, Yahoo is probably not measuring the right thing. Ultimately, this decision will bite them. Bottom Line: Many of us do prefer working on site. It better separates home-work life. Being on site also does foster better team work and relationships. However, when people are taxed with difficult commutes and home-life complications because of their work schedule, they will be less productive even in the office. VPN is no longer a good measurement of how long people work remotely. There's plenty of business applications that don't require VPN to work. Examples: Outlook Anywhere, Xen Desktop (which my company allows over SSL. Or any cloud-based app. I personally only use VPN when I absolutelly have to, since it adds overhead to my system. On the other hand I know plenty of people who "sign in" to VPN and other apps just to pretend they are working when they are loafing just to intentionally cover it.Bottom line, you have to trust your employees, motivate them, and focus on what they deliver rather than how much time they actually spend doing their work. I agree that some roles could be effective without VPN -- image the sales person using web-based email. The thing is, we don't really know what "checkin in on VPN" means, do we? Is it physically logged into the VPN? Is it doing some sort of activity? Is it "checking in" code or other work products? Is it checking email? The whole thing feels sloppy - or - more accurately - obscured. The folks at Yahoo may very well have found all kinds of information, and the VPN logs are a smokescreen. Again, we don't know. Here's hoping that, as the story evolves, more details come out. Obviously more details will come out but I think Mayer saw something that she didn't like and wanted to make changes. Did she deserve all this criticism? Probably not but it was always going to come back to her. But as Matt said, this topic has exploded and will continue to do so as the story keeps unraveling.